Am on the last week of The Patriarchs study and have loved how it is so applicable to our lives today. Looking forward to remembering what I have learned and applying it to my own life. Loving my new study: The Law of Love..Lessons from the pages of Deuteronomy. Also, excited to start my new Online Bible Study with Proverbs 31 OBS , lead by Melissa Taylor. We’ll be starting a study of Karen Ehman’s book ~~ Let.It.Go. This is the BEST year yet!! Just finished Beth’s James’ study and our group is going to begin Paul: To Live is Christ. Have always wanted to do the Paul study and finally get to do it! We finished our second session on “Deuteronomy: The Law of Love” by Beth Moore last night. It was amazing! Looking forward to complete abandon to the two laws of love – to love my God with all my heart, all my soul, all my mind, and all my strength, and to love others as He loves me. We are doing ‘The Amazing Collection’ at my women’s study at church. Has been awesome. We do a whole book every week which is a wonderful, different perspective. In my small group we have just begun doing ‘Malachi’ by Lisa Harper and it is also terrific. She is a hoot and the weekly homework has been great. I missed the first Tuesday night Bible Study in Houston. Would you please email me the handout sheet(s)? Last night’s Bible Study was so meaningful and I couldn’t stop thinking about it after I left and how the message applies to me, my family and friends. I’m studying “Revival or Captivity” Course 7 from the Kings & Prophets series (Precept Ministries). I look forward to sharing the lessons I learn from Biblical kings with my grandmothers prayer group, so that we can pray for our nation accordingly. Book Study: As Silver Refined, Kay Arthur book via a women’s Thursday night class that I’ve been going to. What am I most looking forward to? Being encouraged to trust God in all seasons of life, and the fellowship I get in a book study with other Christian ladies. I am currently studying Women of the Bible with one of my smart friends and also the women of my church start Kelly Minter’s Nehemiah on January 30th. I love to watch God’s Word surprise, change, and encourage women. Best thing in the world! What am I looking forward to? Studying God’s word with a wonderful group of Christian ladies. Most of all growing more in my spiritual life. I love being in God’s word!!! I am not currently in a Bible Study. It’s a little difficult to do right now. However, I hope to get into the next one they have on Monday nights and Tablerock Fellowship. My second verse for the month just came to me this a.m. Psalm 19:14. “Daniel” by Beth Moore, on my own and John: The Way to True Life (Lifeguide Bible Studies) with my small group. I’m looking forward to using my new Greek/Hebrew Bible (recommended by Beth!) as well as more study time for myself and alone time w/ God. I’ve never done this before, but decided to try a neighborhood Bible Study in my home. At the suggestion of LPM we are doing Siesta Mama’s The Inheritance. There are 7 of us with most being unchurched. I’m looking forward to these young moms understanding the inheritance available to them in Christ! And for some of them, being the first in their family line to “break the chain” and move forward in victory! To the glory of GOD!!! I started a second study in the evening to accommodate a few others who wanted to do a study but were unable because of work. We are doing Believing God. I’m looking forward to the women really getting it and believing God for SO MUCH MORE than they could have ever asked or imagined! We meet the second and fourth Thursday evenings of the month. Looking forward to sharing our first week’s homework with my new small group. Treasure the fellowship! I got the amazing opportunity to study with you guys in Houston on Tuesday nights when I lived there for a very short time! I really, really miss it! Right now, our Bible Study here at home in Mississippi is Priscilla Shirer’s Discerning the Voice of God. I’m just looking forward to hearing God speak through His Word! Bible Study: Will be listening to the final session of BELIEVING GOD on Saturday with a beautiful friend that I met here on LPM! God worked a miracle in letting us find each other, even if we do live thousands of miles apart! ~ We will be starting our ESTHER study on Sunday! What are you most looking forward to? I read multiple reviews for ESTHER when the study was first released, SO excited to learn and grow alongside my sweet friend now. Nancy from West Grove, Pa.
BIble Study with Community Bible Study; working on Song of Songs right now, headed into Job and then into James!! Bible Study: At Providence Baptist in KC,MO we are studying Deuteronomy by walking through Beth Moores DVD sessions from Tuesday night Bible Study. It’s just so good. We are in week three. What I Look Forward to: Deuteronomy was not my book of choice. I feel like this book has a “boring” negative conotation to it because it’s in there with Exodus and Numbers. But I was wrong! It has brought me to my knees in front of my King. I am learning and taking in so much. This is a fantastic study! We are just about to begin Faithful, Abundant, True. I am really excited to see what the Lord is going to do in this group of women via the teaching of these three excellent teachers! Journal Study – ‘Get Out Of That Pit’, 40 day devotional journal AND I’m going to study Psalm 40 each day. Our ladies study group finished Beth’s study of James right before Christmas. That was SO good! And we have just started the study of Psalms. I am looking forward to a closer walk with my God and Savior. And some victories over what seems to trip me up in my daily journey! Our ladies are doing Mercy Triumphs-James. We finished week two last night. I was so excited 6 ladies stayed after to watch the video on how to memorize James. The Lord is doing an amazing job in these ladies hearts! We are stretching out the study. One week is the video and the next week is the 5 day lesson. We end the lesson by praying for each other. Starting a couple of weeks late bc of flu,but finally I will get to start Children of the Day at my beloved HFBC with Beth. I also began James, Mercy Triumphs by Beth 4 weeks ago. Amazing! And finally started my Siesta Scripture Memory Team on Jan.1st for the first time ever. Yay! I love it. See you Tuesday. Thank you Lord for healing. I still have my blue tassel bracelet from years ago from doing Beliving God!! I almost typed ” I’m beliveng God”. It worked Beth!! All these year later I still remember the 5 statement pledge!! Love, love, love that Bible Study!! 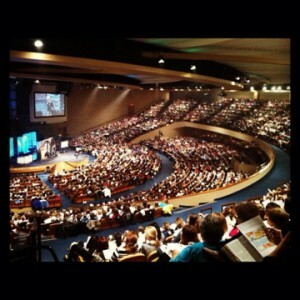 Our church is hosting Beth Moore’s The Inheritance study and yesterday was our second session. What a powerful study this is and I’m hoping to truly get a better understanding of the fact that I am an heiress of God and what that really means in my life right now! Thank you, Beth, for another great study! Our Church is offering Beth’s “When Godly People do Ungodly Things.” I’ve learned from the past two years that when I am offered these studies, I should attend and believe that our Father is most definitely guiding me in preparation for what is going to happen in my life. I’m learning so much about the evil one’s seduction and how to be “seduction proof.” I want to be prepared! We are doing The Law of Love . I praise God that we have increased in numbers. I love this study because I am getting a fresh look at Deuteronomy that I never had before. God has truly brought me out to bring me in! Just to read and see how much God loves me and that I am His treasured possession, wow. It’s awesome. Our church is offering Beth’s study “The Inheritance.” I facilitated this study last year and it was fabulous! I learned so much from Beth, I learn from all of her studies. Thank you Beth, you’re an amazing teacher! “He Speaks to Me” by Priscilla Shirer. There are seven of us, meeting in my home on Thursday mornings. Most excited about seeing God teach us to better position ourselves to hear from Him! RaeLeen, Greenwood IN: Bible Study Fellowship; the book of Genesis. Charne – Secunda, South Africa. We are a group of 85 women busy with Esther, what an absolute blessing!! Looking forward to see how God changes our lives, but also to our Purim festival that we do with the study!! 10 Fear not [there is nothing to fear], for I am with you; do not look around you in terror and be dismayed, for I am your God. I will strengthen and harden you to difficulties, yes, I will help you; yes, I will hold you up and retain you with My [victorious] right hand of rightness and justice. “O give thanks unto the Lord, for He is good. Jeremiah 17:7 Blessed is the man who trust in the LORD, whose confidence is in Him. NIV.